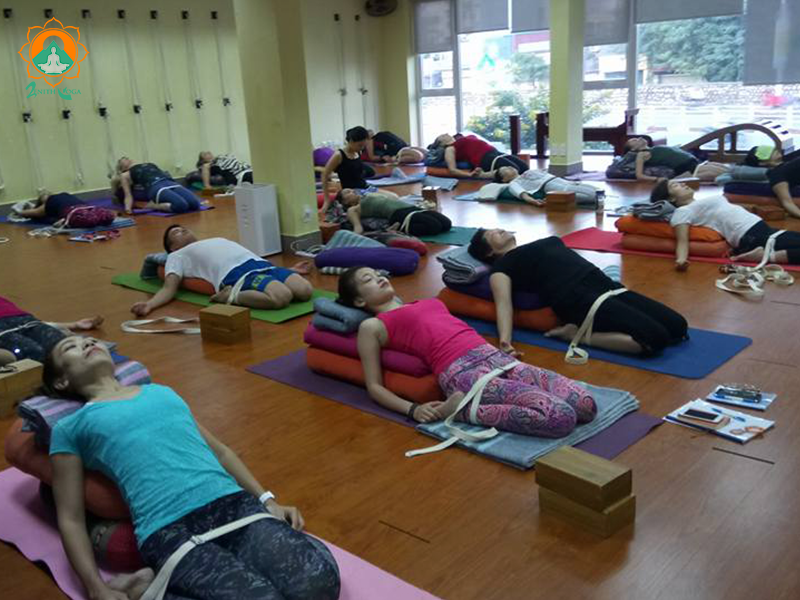 Zenith Yoga Hanoi’s 200-hour Yoga Alliance Teacher Training Foundation Certification program is for aspiring teachers as well as those who wish to deepen their practice. The program presents foundation in the principals of asanas, pranayama, meditation, yoga philosophy, basic anatomy and teaching methodology. Weekend Training Dates: Sept: 6 - 8, 20 - 22; Oct: 4 - 6, 18 - 20; Nov: 1 - 3, 15 - 17; Dec: 6 - 8, 13 - 15; Jan: 10 - 12, 17 - 19; Feb: 7 - 9, 14 - 16. Thank you for your inquiry for Zenith Yoga Hanoi’s 200-hr Yoga Teacher Training. We’ll get back to you shortly. Namaste. Pre-Requisite: A regular yoga practice of at least 12 months (2-3 times a week) is recommended. This training is for any one who desires to study and learn not only asana but also the yogic philosophy to then better serve your students and also develop a better understanding of your own practice. Thank you for your inquiry on Zenith Yoga Hanoi’s 200-hr YTT. Our team will get back to you ASAP. Namaste. Book with Yoga in Vietnam and SAVE $100 USD per person off the full training fee (not applicable to early bird rate). Training fee includes asana training manual and does not include accommodation, meals, or travel to/from Hanoi, Vietnam. Save your mat: Register and submit your non-refundable deposit of $368 USD per person. Deepen your personal practice and learn to share it with others. As of the respective training date. Thank you for your inquiry! We’ll get back to you ASAP. Make sure to check your junk mail, just in case. Namaste. Marzena Kierepka has been a practitioner for the last 15 years and Yoga instructor since 2005. She teaches an eclectic mix of Hatha Yoga incorporating Iyengar and traditional Hatha into her practice. Taking the essence of those styles she creates a unique way which offers the students great benefits and variety. Having studied with many prominent teachers in India and Thailand for examples the Iyengar family, Swati and Rajiv Chanchani, Mr. Rudra and Justin Herold with whom she completed her Iyengar TTC. She achieved advanced TTC with Hart Lazer who is her teacher and mentor for the last 5 years. This offer is in partnership with Zenith Yoga Hanoi and is subject to our Terms & Conditions.